I love fashion, not that I dress very well but I admire people that do. I love to see people with crazy and beautiful outfits that manage to express themselves through the way they look. I constantly feel torn when I see a pair of shoes I love or a nice jacket and the fact that I don’t know anything about what is behind that item. Who made it, what is made of and what it really takes to get that item in my closet. Like everything in life, there is always a better way to do things, I believe there is a way that we can be financially successful, do what we love and bring our values into business. But don’t take my word for it, thankfully, there are plenty of brands out there that believe in that too and I wanted to share with you some insights on a sustainable fashion brand. 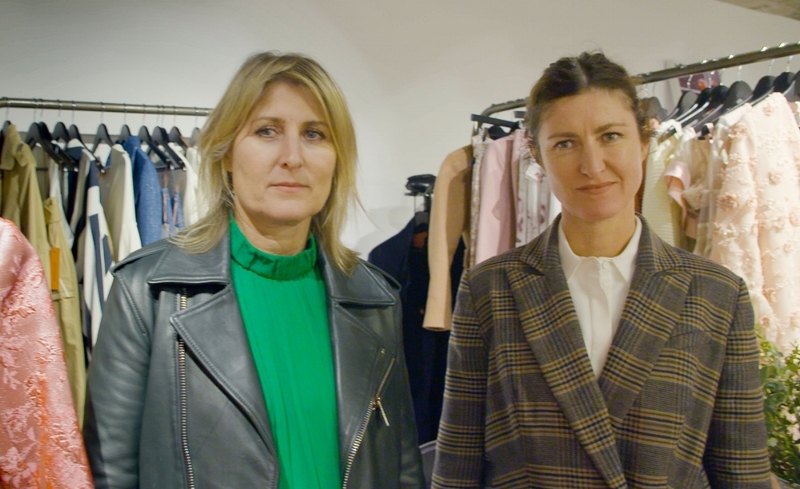 Last February I met Gabrielle and Cheryl Manning, a power duo of sisters and founders of Manning-Cartell at the London Fashion Week. Manning-Cartell is an Australian Ethical-clothing luxury brand that is making its way to the old continent. Aside from browsing their beautiful garments, we had a quick chat about their brand, inspiration and values they bring to their business. We love to mix sport, luxe with feminine pieces. Our keys are tailoring mixed with glamorous and sport. What do you think about when you’re designing your garments? It’s about female empowerment. Everything that we do is about creating that in a woman, how she feels. She feels confident, putting on garments that make her feel beautiful, confident and strong. That’s a big part of fashion, you know? The emotion that creates. How do you ensure that your brand remains sustainable? That’s a big part of what we do in Australia. We have been ethically credited since 2012. We’re very mindful of how our fabrics are sourced, for instance, our leather is sourced from sustainable factories. We’re very mindful of where our fabrics come from as well and we’re considering going forward to having that more has a focus. We think it’s a great innitiative what the London Fashion Week is doing about creating awareness about it. This article came timely for the opening of the Fashion Revolution Week that started today. So, if you’re looking to know more about how you can introduce sustainable and ethical practices into your business or ways to shop more mindfully check out their workshops and line up here. Did you know this brand already? Do you have a favourite sustainable design or business? Shoot me an email or write a comment below and let me know! I really love discovering new ethical fashion brands. If you enjoyed this article share with a friend! "Everything we do is about creating an emotion".